Pakistan President Mamnoon Hussain has ratified the Elections Bill 2017 and paved the way for former prime minister Nawaz Sharif to become Pakistan Muslim League-Nawaz (PML-N) president. ISLAMABAD: Pakistan President Mamnoon Hussain has ratified the Elections Bill 2017 which was passed by the National Assembly on Monday and paved the way for former prime minister Nawaz Sharif to become Pakistan Muslim League-Nawaz (PML-N) president. The Election Bill, 2017, commonly known as Electoral Reforms Bill which was already been approved by the Senate, was subsequently signed into law by President Mamnoon Hussain late Monday night. A controversial clause in the bill allows disqualified politicians to hold a public office or to lead a political party, Geo News reported. The opposition members in the National Assembly protested the passing of the bill and tore copies of it after it was presented by Law Minister Zahid Hamid. The Assembly also rejected the amendment to the bill presented by the Jamaat-e-Islami. Nawaz Sharif does not even want to see his brother (Shehbaz Sharif) as a party leader, he remarked. Pakistan Tehreek-e-Insaf (PTI) leader Shah Mehmood Qureshi said that the clause 203 of the bill is against the spirit of the country's Constitution. The Representation of Peoples Act 1976 bars anyone who is ineligible to become a member of parliament from holding office in a political party. 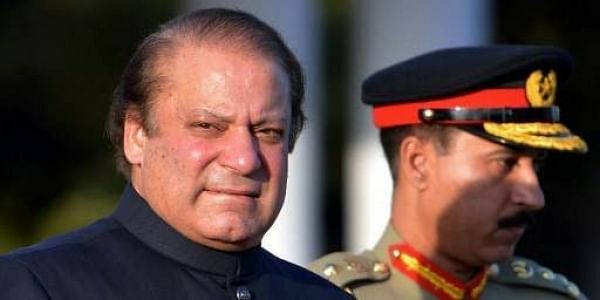 Ever since the Supreme Court's verdict, the PML-N has been run by its acting president Sardar Muhammad Yaqoob Khan Nasar, a senator from Balochistan.